Year in and year out, we hear in the news about another local southern California restaurant going up in flames. All too often the cause of the fire is due to grease fires and the restaurant owners lack of cleaning and maintenance of their grease traps, duct work and roof top. As a roofing contractor in the Greater Los Angeles area, we won’t attempt to have the solution for cleaning and maintaining your interior grease problems, but we do have the best roofing solution when it comes to your restaurant or industrial roof design... ChemGuard™ by IB Roof Systems. ChemGuard is the world’s only true grease and oil resistant roofing membrane. 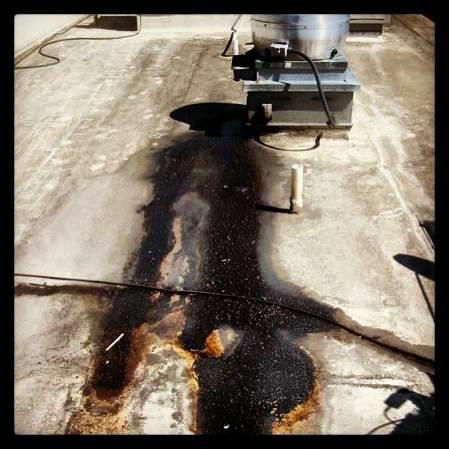 Oil, grease, dirt, and the elements can take their toll on roof longevity, which is specifically why ChemGuard was created and why we are proud to offer and install this product by IB Roof Systems. As today’s only single-ply PVC roofing membrane for industrial and restaurant use, ChemGuard is designed to surpass ASTM standards and protect against such roofing hazards as animal fats, cooking grease, motor oil, gasoline, acid rain, and numerous other harsh chemicals and acids. Plus, its dirt release formula makes it safe and easy to simply wash away residue and build-up. Having installed well over 500,000 square feet of IB’s single-ply PVC roofing system for over a decade now, we are very confident in the performance of this membrane, as well as the track record and support that IB provides to both the roofing contractor and the client. ChemGuard is a Class A rated, single-ply PVC roofing system, engineered to meet the most stringent of rooftop fire ratings. Most fires in a restaurant start over an improperly maintained stove area, quickly accelerating with the grease in the ductwork and then following oxygen to the rooftop exhaust vent where it again accelerates at the grease trap or where grease has spilled out onto the roof itself. If a fire occurs on a ChemGuard roof, the material is designed to extinguish itself, not spread and accelerate. There’s a reason why over 90% of all IB Roofing Systems are still performing after more than 30 years.  They’re built to last by both Chandler’s Roofing and IB Roof Systems! In fact IB backs their roofing systems with a 25-year 100% non-prorated warranty and backs Chandler’s labor and workmanship with warranties for the same 25 year period. And for added assurance, all details around pipe penetrations, HVAC units, scuppers, drains and other dimensional objects are prefabricated, not field fabricated to ensure a professional, custom look, and flawless installation. Future maintenance costs of your building and roofing assets are an important factor to any restaurant business. ChemGuard’s dirt release formula makes it safe and easy to simply wash away residue, build-up and grease. With no coatings necessary or asphalt seams to maintain, ChemGuard holds up to the toughest of climatic conditions and is one of the easiest roofs to maintain longterm, lowering the overall lifecycle maintenance costs of your restaurants roof. ChemGuard meets California’s stringent cool roof, Title 24 compliant status and carries one of the highest solar reflectance ratings of any roofing system in the industry. A ChemGuard roof actually works for you by helping to keep your restaurant cooler, thus lowering your annual AC and electrical usage. ChemGuard roofs can be installed with IB walk treads for rooftops that see heavier than normal foot traffic. These walk treads provide protective areas for service professionals such as industrial cleaning and maintenance companies, AC repairmen, etc. More often than not, a restaurant or building owner will add-on to their business, or incorporate new mechanical units such as an AC unit down the line. A ChemGuard roof maintains it’s original characteristics longer than almost any other roofing system we’ve dealt with, making it very easy to tie-into with a new addition or future AC or skylight curb without having to do more costly prep or repair work to the roof. As part of your restaurant groups sustainability initiative, it may be important to note that the ChemGuard roof is 100% recyclable at the end of its useful life. You can have the added peace of mind in knowing that 30+ years from the day you install your ChemGuard roof, that it does not have to go into our communities landfill, but rather can be recycled into usable products such as vinyl siding, PVC pipes, etc. Take a look below at how IB Roof Systems recycled the East portion of a high school in Harrisburg, OR.